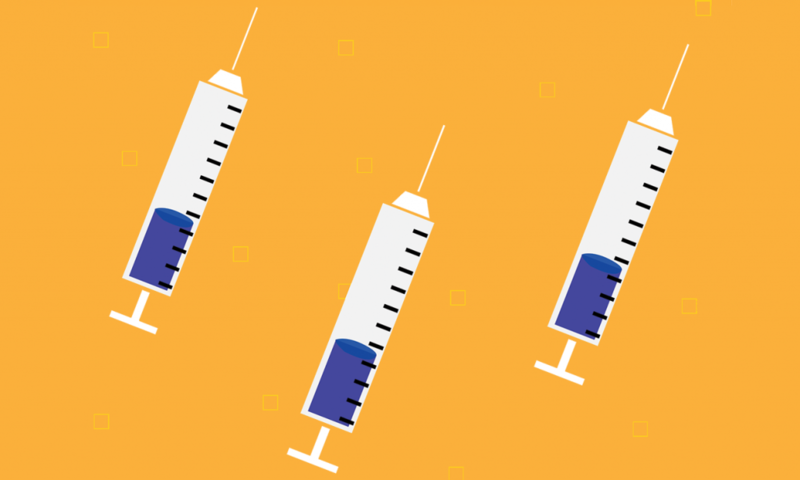 Toronto public health officials and Ryerson’s physician lead recommend residents and post-secondary students update their shots in light of the measles outbreak in Vancouver that has sparked alarms over vaccination rates across the country. Vancouver is in the midst of an outbreak infecting 15 individuals, mostly elementary school children. Four cases of measles in Toronto and Mississauga were recorded in 2017. Though measles was officially eradicated in Canada in 1998 according to the government, the disease periodically emerges from a mix of insufficient vaccination rates in schools and air travel, according to Dr. Vinita Dubey, associate medical officer of health at Toronto Public Health. “Infants are at the greatest risk since routine vaccination for measles does not begin until they are one year old,” she said in an email. A positive sign is the relatively high vaccination rates in Toronto. In the 2016-2017 school year, measles inoculation averaged at 87 per cent in seven-year-olds and 90 per cent for 17-year-olds. Compare that to Vancouver, where according to Vancouver Coastal Health, the average kindergarten vaccination rate is 83.1 per cent, with some dipping down as low as 66.1 per cent. Public health officials recommend a 90 per cent vaccination rate to provide herd immunity, the state where enough people are vaccinated to effectively shield the unvaccinated from a disease. Dubey added that, unlike British Columbia, Ontario’s Immunization of School Pupils Act requires children who attend elementary and secondary school to be vaccinated or have valid exemption provided to their local health unit. Only “1.7 per cent of students in Toronto schools have a philosophical or religious exemption to vaccinations,” she said. Dubey said people born in or after 1970 should receive two doses of the vaccine because they were likely not immunized fully. Two doses of the vaccine provide a 95 per cent protection rate against measles. An additional concern for university students is the close proximity of students in classrooms where the spread of viruses and bacteria is amplified, according to Hogarth. In response to the recent outbreaks, Hogarth has seen an increase in students approaching her for vaccination related to measles. “I subjectively have had more patients asking about the MMR vaccine and requesting a booster if they are not up to date.” Hogarth also said she has seen an increase in students asking for updates on their shots if they did not receive their childhood series of vaccines. The Ryerson Medical Centre offers free immunizations for tetanus, diphtheria, polio, measles, mumps, rubella, and the flu under OHIP.